Usually, I see brands sit on one of two sides of the fence. Either they work only with blogger networks or agencies, or they own their blogger relationships in-house. After a neat discussion with Sam Zivot of Lorna Jane, I now have an awesome example of how these two tactics actually can be complimentary. In fact, according to this case study, it’s possible a blogger outreach sweet spot may exist in the middle of these two schools of thought. If you’re not yet familiar, Lorna Jane is a yoga and running clothing brand that started in Australia and has made its way to the US with wild and adorable success. In fact, Lorna Jane is bigger than Lululemon in Australia and rapidly gaining popularity in the US. A huge part of this brand’s marketing strategy is blogger outreach. Sam Zivot is the brain behind all of Lorna Jane’s digital marketing, including blogs, social, email and search strategies. For the past year and a half, he’s been combining creativity with a focus on blogger relations. He also enjoys long walks with his dog while listening to Raffi. Lorna Jane’s multifaceted blogger outreach strategy matches the different components of their marketing strategy. They continually build a network of bloggers who serve as brand fans and write about them on an ongoing basis. Each time Lorna Jane opens a new retail store, Sam identifies and reaches out to bloggers in each city. He invites them to come to the store, try on apparel, and take home something for free for authentic word of mouth buzz about the stores. When it comes time to promote a facet or specific piece of their brand, Sam finds it beneficial to work with blogger networks for a scalable and scheduled campaign. The network effect takes place when a group of social influencers post content at a scheduled time. An outpouring of brand shout outs on multiple social channels by multiple influencers can lead to immediate brand awareness and buzz. Have more control over influencer relationships, since a paid relationship gives your more leverage with scheduling, timing, etc. While blogger networks can create fast and scalable brand awareness, owning relationships can lead to a different type of network. A network in which relationships are owned by the brand and run in-house leads to continual word of mouth mentions. As I mentioned before, Lorna Jane does a great job of creating a strategy that embraces ongoing relationships as well as blogger network tactics and weaves them together seamlessly. When Sam worked with a blogger network to promote a major fitness blogging event, he was able to activate 150 bloggers during a four-week social media challenge. After this campaign and event, some of the bloggers approached Sam to work with him again! This is where Sam’s blogger outreach tool GroupHigh comes in to play. He can house all of his relationships while simultaneously finding new bloggers to work with whether it’s by topic or location. 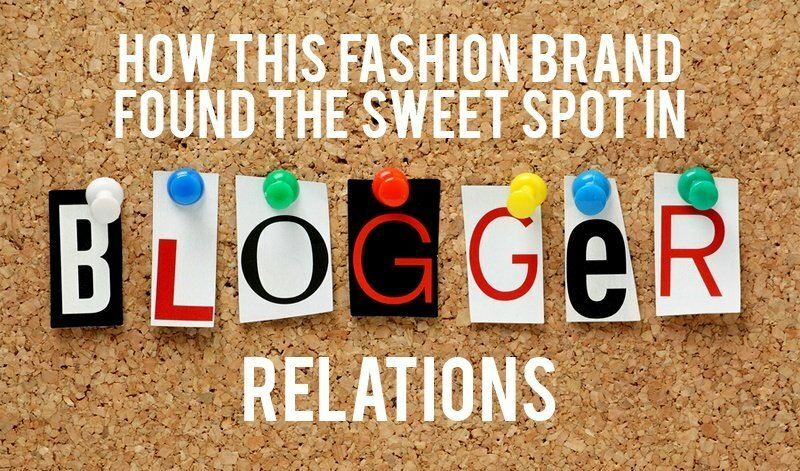 For all brands, it’s ideal to create a blogger relations strategy that encompasses ongoing relationships as well as the ability to activate many bloggers at once. Networks lead to long term relationships when the budget allows. If you want to share your story on blogger outreach or comment on this example, feel free to reach out directly at kristen@grouphigh.com, or share your thoughts in the comments!